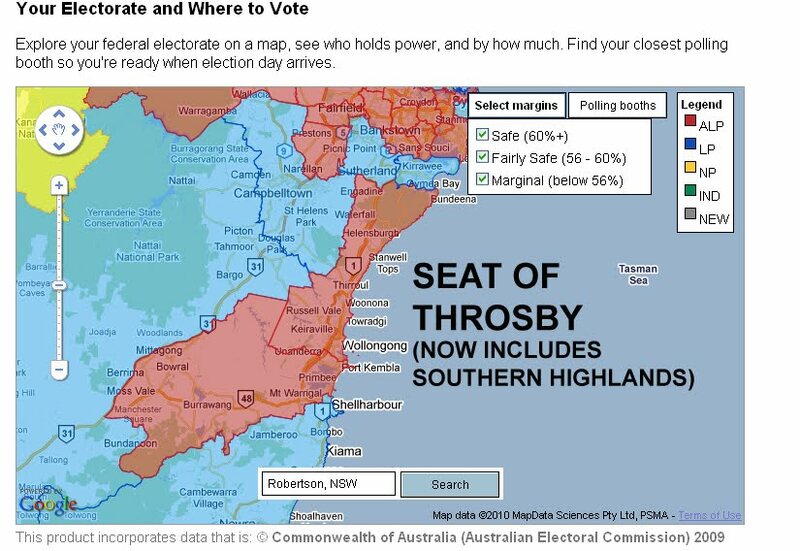 If you live in the Southern Highlands, you might have thought you were in the seat of Hume. You used be. 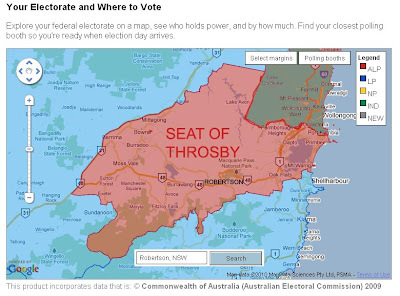 Now you are part of the seat of Throsby (at least, unless you live south from Exeter). The new boundary is between Exeter and Bundanoon. 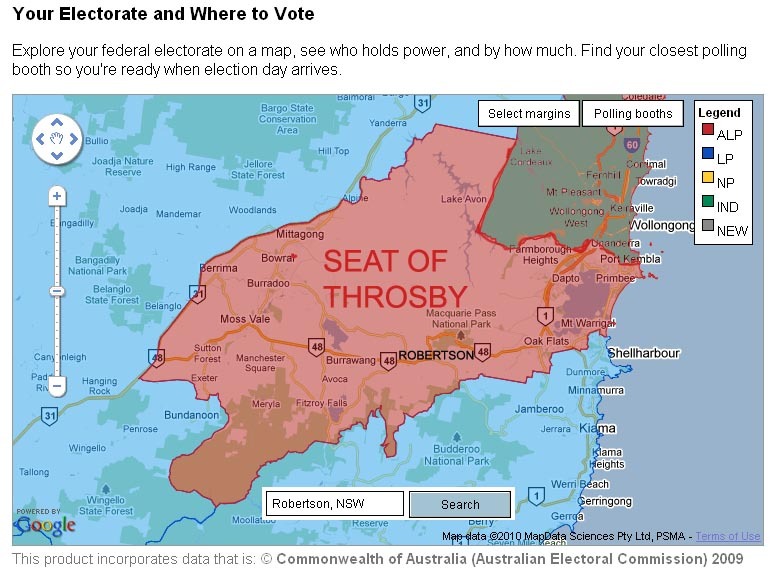 If you wish to see a more precise map, please go to the following AEC map of the Division of Throsby.